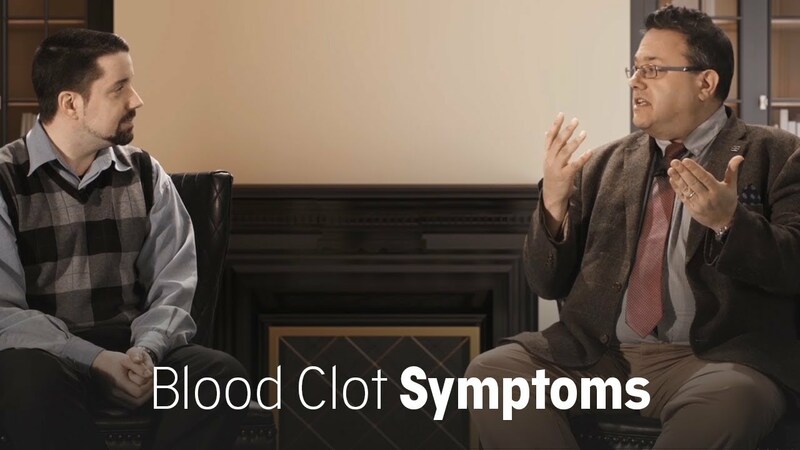 What clot symptoms shouid I watch for? What do cancer patients need to know about the warning signs and symptoms of blood clots? Prof. Simon Noble, MD, stresses the importance of recognising and treating blood clots early. This enables patients to reduce long-term complications, improve symptoms and reduce the chances of a possible life-threatening outcome. The symptoms of blood clots are the same for people with or without cancer: leg swelling, pain, tenderness of the leg, breathlessness, chest pain or collapse. However, these symptoms are commonly experienced by many cancer patients. Breathlessness may occur when you are anaemic (you have a low red blood cell count), have a chest infection or some fluid on the lung. You may have swelling of the leg because your lymph drainage is compromised or because you have low protein in your blood. Prof. Noble maintains that it is important for cancer patients to question the cause of a symptom and not assume it is just due to having cancer or being on cancer treatment.